Click on one of the below links to be directed to the websites of our preferred vendors. Over the years we have built a relationship with each of these companies to provide the best price possible to our customers. S&S Activewear utilizes four state-of-the-art distribution centers that are optimized to process orders with speed and accuracy. They offer a wide selection of products from basics to unique styles to exclusive brands including Adidas, Van Heusen, Champion, Dri Duck and Oakley. S&S is a great source for polos, dress shirts, tees, fleece, outerwear, workwear and so much more. SanMar is an award-winning supplier of 17 different retail, private label and mill brands including Port Authority, Nike, Eddie Bauer and Red House. AdOne has worked with them for over 10 years for such products as polos, outerwear, fleece, headwear, workwear, wovens and activewear. With decades of experience, Alpha Broder provides quality apparel and accessories to companies throughout the nation. They utilize various decorating methods to customize a vast array of apparel options from name brands like Adidas, Champion, Columbia, Dri-Duck and Van Heusen. Trimark offers a wide range of high quality apparel items and the latest in decorating techniques. Here you will find outerwear, polos, fleece and wovens by Puma, Landmark and Elevate just to name a few. Moreover, with Trimark you can choose from various decorating techniques including embroidery, true edge transfer, deboss and laser for the perfect look anytime. Charles River is a family-owned company known for providing superior quality apparel options for men, women and children. AdOne utilizes them for polos, performance activewear, windshirts, waterproof rainwear, team and spirit apparel and outerwear. The Hit product line includes bags, duffels, drawstrings, backpacks, headwear, leisure products, personal care items, plush toys, Made in the USA products, umbrellas and writing instruments. Four color process imprints are available on some items and rush services are available on select products. Leeds is a Pennsylvania company that boasts high end quality and innovative design. Their product line includes bags, drinkware, pens, fitness items, mobile technology, and outdoor/leisure products; Kenneth Cole, Cutter & Buck, High Sierra and Zippo are just a few of the brands you will find in the Leeds catalog. Bullet works to keep pricing as low as possible on their large and varied product line. This line includes drinkware, writing instruments, technology, sticky notes, stationery, coolers, travel/auto items, and health/beauty items. Throughout their catalog you will find Made in the USA items, as well as, recycled material products. High Caliber Line offers a variety of unique promotional products perfect to meet your marketing and promotional needs. We create lasting brand recognition with our high quality imprinted and engraved products. They offer innovative ideas at unbeatable prices! Keystone prides itself on providing creative product solutions for a wide variety of needs. They are a Pennsylvania company with a large product line including USA-made products, water bottles, tumblers and travel mugs. Most of their products have large four-color imprint areas for more versatility in customizing. 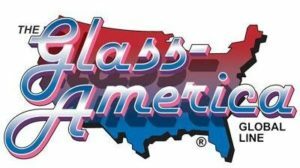 Glass America is a Pennsylvania company with international purchasing power allowing for large and custom orders. They carry a selection of stainless steel products, as well as, water bottles, ceramics and glassware. Their emphasis is on competitive pricing and on-time deliveries. BIC Graphics was named the top supplier of promotional products in North America. They offer a comprehensive product line and a wide selection of decorating methods. AdOne utilizes BIC Graphic for writing instruments, golf accessories, technology, flashlights, tools, automotive items, health/wellness products and safety items. Their brands include Sheaffer, Koozie, Jaffa and Triumph. Vitronics puts 100 years of experience behind their wide range of customized promotional product offerings. Their line includes totes and bags, plush toys, coolers, headwear, umbrellas and business items. Here you will find brand names like Andrew Philips, Coleman, Totes, Chill and Chelsea Teddy Bear Co.